A local authority has been reprimanded over its failure to comply with government guidelines on council publications after the closure of a local newspaper on the same patch. The Wirral News published its final decision this week after publisher Trinity Mirror said its local market had become “increasingly overcrowded” since the launch of council newsletter Wirral View. The newsletter, delivered free to all homes in the borough, is published monthly despite the government’s Publicity Code saying council publications should come out no more than quarterly. Now local government minister Marcus Jones has written to the Wirral Council leader to remind him of the guidelines. The Code, which was brought in by the former communities secretary Eric Pickles during the Coalition governmemt, is specifically designed to guard against unfair competition with local newspapers. A spokesman for the Department for Communities and Local Government (DCLG) said: “Councils should not undermine local democracy by publishing their own newsletters more often than quarterly. 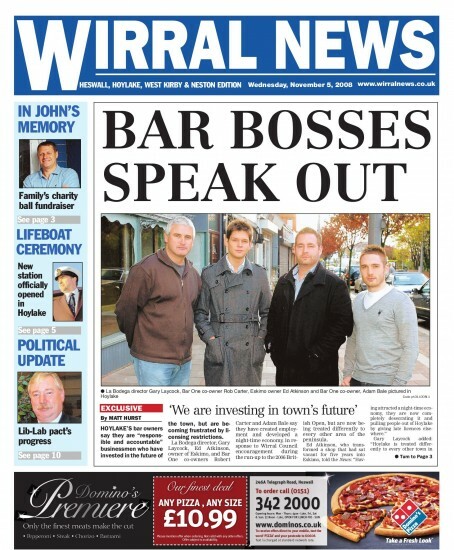 However the council has denied that Wirral View, which was launched last October, was a factor in the closure of the Wirral News. Trinity Mirror said last month: “The Wirral marketplace has become increasingly crowded with free print products with now even Wirral Borough Council producing a monthly free print publication themselves. So the local council is only refusing to comply with one provision of the code – so that’s alright then! The only problem is it’s a pretty major provision despite what the council spokesman would claim – namely one edition a month instead of quarterly. on the patch. It can’t work and it doesn’t. And the editing is grim. This is more about a council taking the opportunity to raise two fingers to a pitifully weak government, than the closure of a local newspaper. The council knows that absolutely nothing is going to happen about this. Let’s be honest it’s very little to do with the councils own newsletter which is a different matter altogether, ,it’s simply TM cannot sell enough advertising to make it viable as there are many others in the market. Lose the quality and lose the market and you’ll soon lose the advertisers too, simple fact of life and nothing to do with the councils offering. I spy a red herring.